Babies > roses, especially when they’re this cute, right? 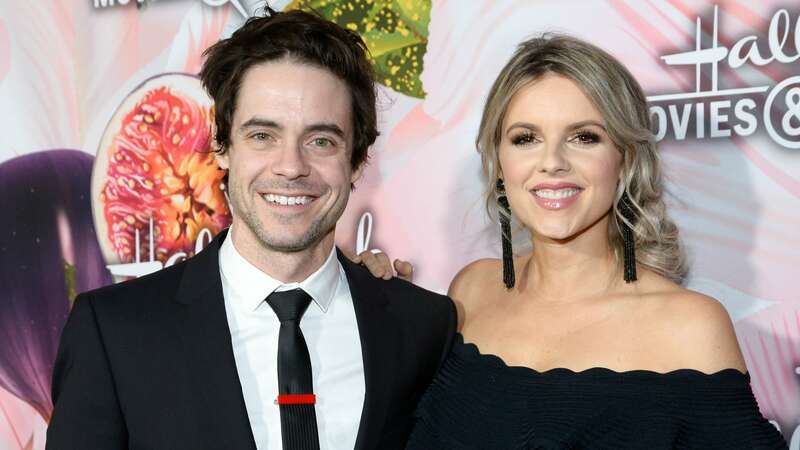 Ali Fedotowsky, who starred in the sixth season of The Bachelorette, has given birth to her second child, a boy, with her husband, Kevin Manno. The couple broke the exciting news on Instagram on Thursday. In another photo, Manno gushed over his wife’s strength, calling her “the strongest person I know.” Awww. Fedotowsky looks amazingly calm and rested in each pic considering she was in labor for over 17 hours. In a series of Instagram Stories, she and Manno documented the waiting process. One video shows her looking incredibly uncomfortable yet somehow very well put together in a hospital bed as her husband talked into the camera: “Update: No baby yet. We’ve been here 17 hours, in this bed for 17 hours, getting frustrated but hanging in there. [She’s] still laboring; it could take a while longer.” I hope they save this video and show it to him whenever he acts out. The little boy is the couple’s second child; their first, Molly Sullivan, will celebrate her second birthday in July. Though the new parents have yet to release their son’s name, we have no doubt it will be adorable and meaningful, just like their daughter’s. She’s named after both her maternal and paternal great-grandmothers, Molly Fedotowsky and Eva Sullivan. Days ago, Fedotwosky wrote a sweet blog post honoring her first child and outlining her hopes for her family’s future.